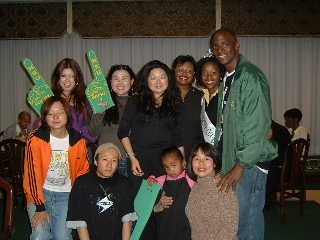 Supported by Norfolk State University, one of the historically blackcolleges and universities in the United States, "Experiencing NSU Homecoming for Japanese People" was held between October 30 and November 3, 2003. 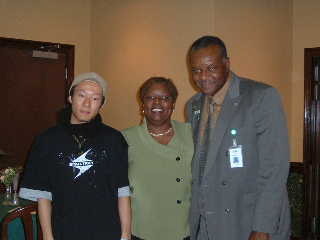 It was the first time for the Japanese participants to see HBCUs. 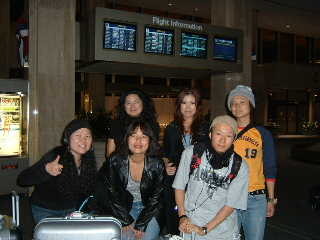 The following is the travel review that the Japanese people experienced. There is sign-up information for the next Homecoming Tour on the bottom of this page. The participants arrived to Norfolk International Airport. A NSU staff also came to welcomed them. After checked in a hotel, participants headed to the Homecoming Hip Hop concert. Pep Rally welcomed the Japanese participants. A reporter from the Virginian Pilot also came to interview the Japanese people. Photo Opportunity with Miss NSU 2003-2004. The Japanese participants kept telling the Miss NSU, " You are so Beautiful!" NSU hosted a welcome dinner for the Japanese people. The Vice President for student affairs, Members of International Students Organization of NSU, and the president of Student Government Association also attended. A participant took a picture with the Vice President for student affairs, Mr. Larry Curtis (right) and Special Assistant to the President, Ms. Jacqueline Curtis (Center). The participants hold NSU T-shirts that were given by NSU. 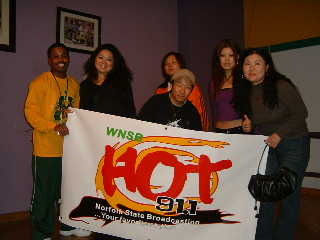 The Japanese participants visited the NSU radio station, WNSB. WNSB is one of the popular radio stations in the Hampton Road area. 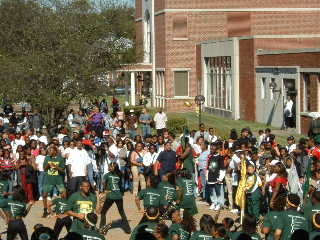 Homecoming parade. 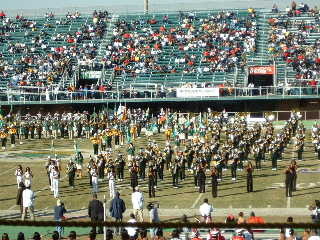 NSU marching band, Cheer leaders, and high school and youth groups performed in front of the judges. The Japanese participatns were very impressed by the cheer leaders' dance! 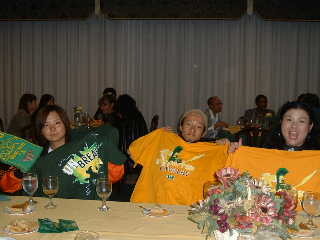 Wearing the NSU T-shirts, the Japanese people also looked like NSU cheer leaders! 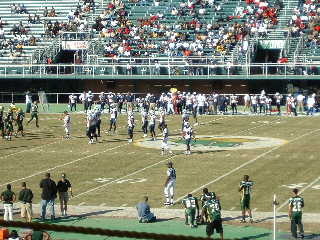 It was their first time to see the live football game! Marching bands also entertained the Japanese people. 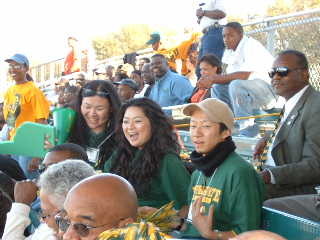 Even though NSU lost the game, the Japanese participants enjoyed and impressed with the game. The Japanese participants also enjoyed step show, Sunday church service, and gospel performance. All partipants said " I have never had such unique and precious experience before." Why don't you join for the next year's Homecoming Tour? If you are international students and thinking about studying at a black college, it will be a great opportunity to see the real life at the black college. Signing up is easy. 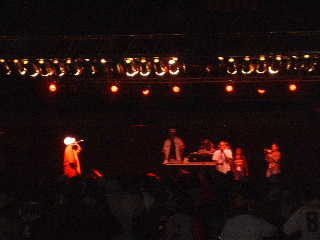 Just e-mail Black College Connection and mention that you are interested in the Homecoming Tour. We will inform you as soon as we have detailed schedule for the next tour.